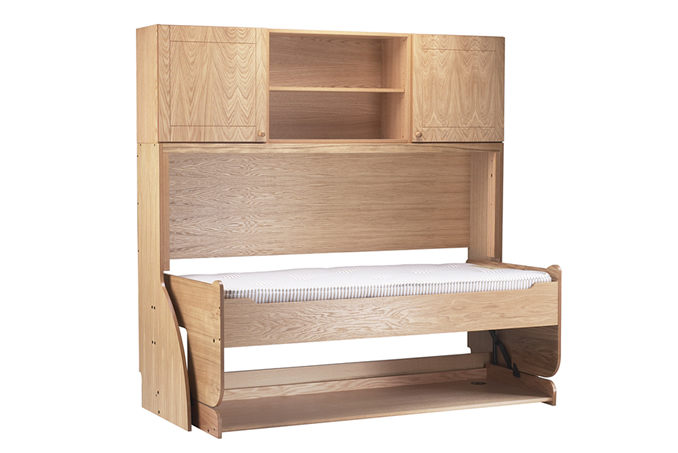 This an optional extra for the Single, 4ft Small Double and 4ft 6in Double StudyBeds, and comes with adjustable shelving, and soft-closing doors. 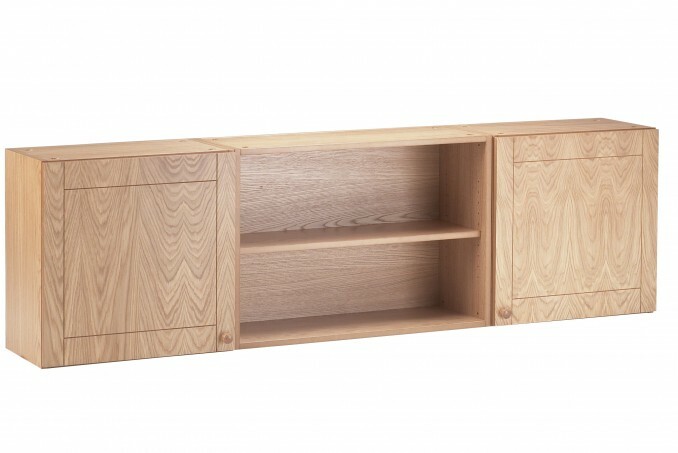 Although it may be possible to obtain one of these at a later stage, it is advisable to purchase it at the outset to ensure best matching of the finish. 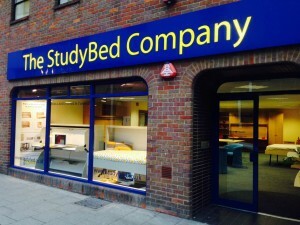 It measures 35cm deep x 60cm high on the Single and Small Double, and 43cm deep x 48cm high on the Double StudyBed. 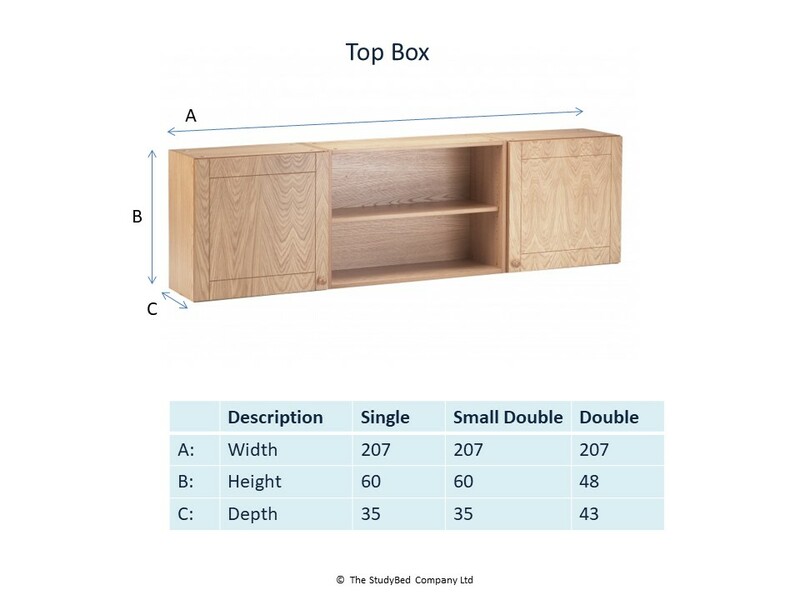 Please bear in mind when sizing up your room that the total height with the Single StudyBed will be 200cm and with either of the Doubles will be 220cm. These will of course be finished to match your StudyBed; if you are having a two – tone finish, then we would suggest maybe having the back panels and door knobs in the contrasting finish, but the choice is yours.